This is a good pie. 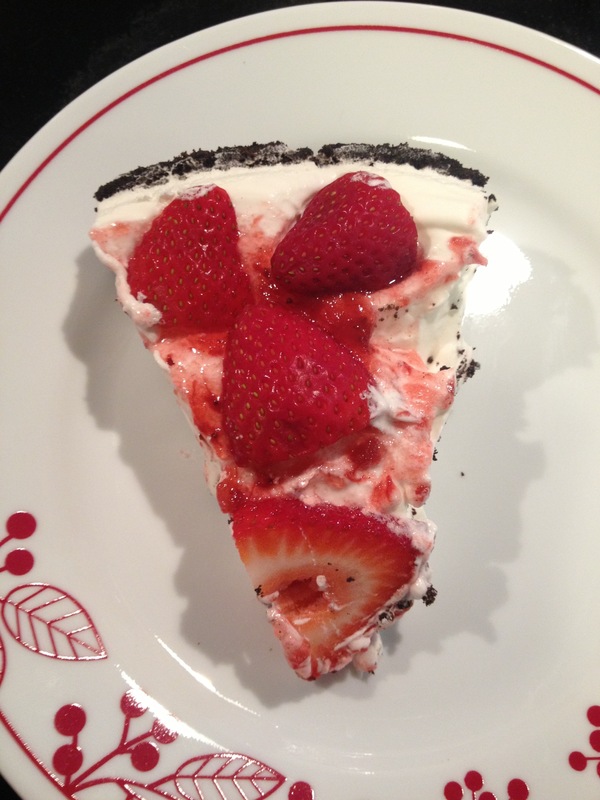 I am going to post the recipe, because it is very yummy… but please note: The texture is a little soft. I’m still working on perfecting it…but even with a too-soft texture, the taste is so good that I thought, for the first time, I’d post this recipe before it’s final version. (if you see this message I’m still working on it. I will remove this intro once the recipe is in it’s final stage.) 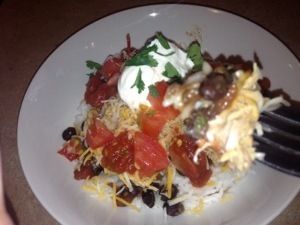 What I did, was make it, and then stick it in the fridge a few hours… then the freezer to firm it up a bit. But really, i liked it just fine being soft. 1, In a medium sized bowl, mix milk and pudding mixture until thick. Stir in splenda and lemon juice. 2. Slowly mix in coolwhip, until well incorporated. 3. Pour this mixture into pie crust. 4. In a small bowl, mix strawberry preserves and water together until smooth. Spread over top of pie. 5. 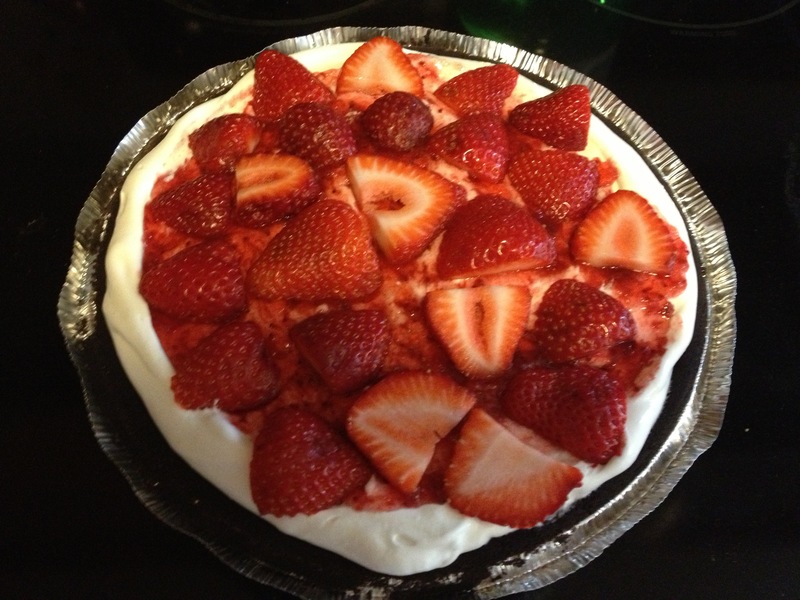 Top with Sliced strawberries and refrigerate for at least 4 hours before serving. approximately 5 weight watchers points plus per serving. Tonight I was wandering around the kitchen thinking…. “I feel creative” and “What experimental recipe can I throw together tonight?” I grabbed a few things from my pantry and decided to see how they got along in the oven. 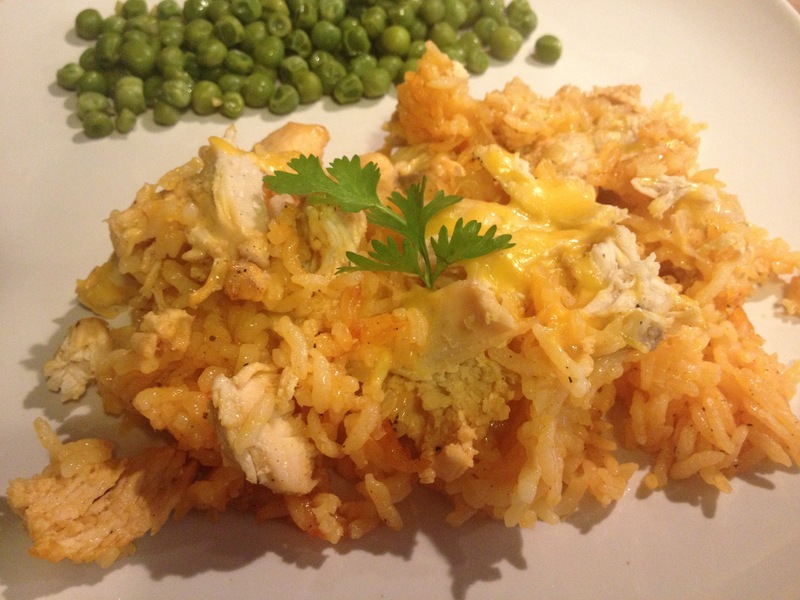 The result is a simple, but tasty Rice and Chicken casserole. Fun Fact: I have had the same best friend for almost 30 years now; since we were itty-bitty kids. So, I basically grew up in her house part-time. My 2nd Mom makes a simple rice dish similar to this, that she calls “Party Rice.” My intention here was not to recreate that… but in the end, this recipe did take me back to that comfort food I grew up on. So, I hope you like it too. It’s simple, straightforward, and for me…comforting. I actually like to eat “party rice” cold the next day. I bet this would also be good that way. 2. Mix together following ingredients in a medium size bowl, until well combined: Rice, Soup, Water, Onion, Salt, Pepper, and Sazon. 3. Spray a 9×9 pan with non-stick spray. 4. Pour mixture into pan, and distribute chicken evenly over top of mixture. Lightly press chicken slightly into Rice. 5. Cover Dish with Foil, and bake for 55 minutes. Do not uncover during cooking. 6. 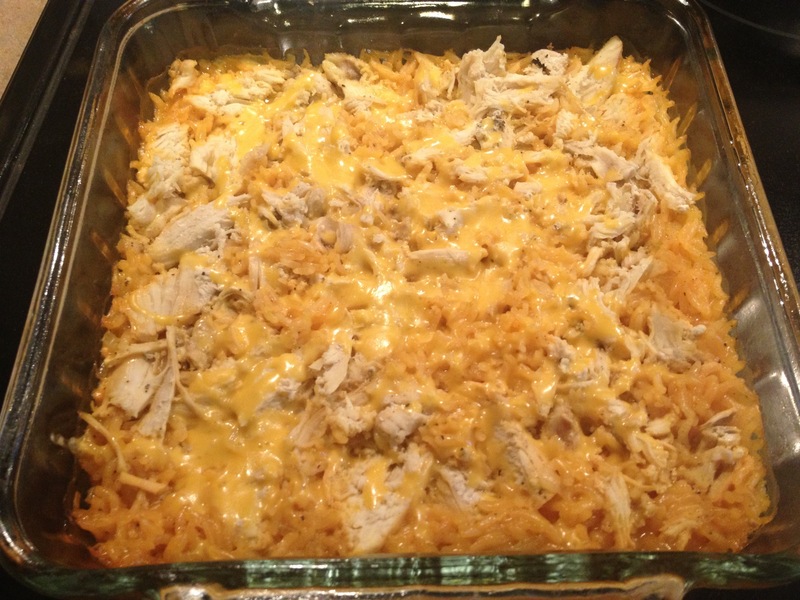 Once the 50 minutes is up, uncover dish, and sprinkle Cheddar cheese over top. Return to oven 2-3 minutes, or until cheese melts. Editors Note: This would also be very good if you mixed in an extra 1/2 cup of 2% shredded cheddar into the rice mixture before baking. If you did this, each serving would be 370 calories/10 ww pp.